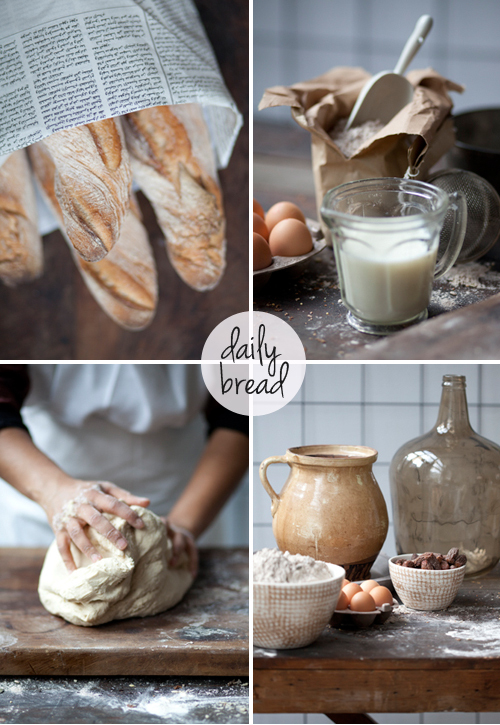 I love rustic bread and therefore these beautiful styled images from StyleCookie immediately caught my eye! I can almost hear the baquettes cracking..
Hi, hope you had a great easter! Aaa the bread looks good! Bon Appétit! Nothing beats the sound and smell of a nice baguette cracking. I gave up bread for Lent; so this collection of photos can not come at a more timely manner. All 4 photos you posted really capture each step of the art of baking bread. I had an inexplicable urge to bake today, maybe it was a cosmic influence?